Sometimes you get it right the first time. Sometimes your VERY FIRST message is easily understood. Amazing. But, most of the time, people have questions. And when people have questions, we can all benefit from a little input. When developing trusted connections, it's not as important as what you say, but your willingness to listen, appreciate and adapt. In order to build business, your customers need to trust you to some level. When a consumer feels heard, they start to develop trust. When you are presenting content online, it's not a bad idea to keep that in mind. Here are the 4 keys to developing successful relationships online. Engage - Listen - Adapt - Grow! First, you need to drive people to your content. When you have a critical mass of people, you have the numbers to learn from engagement. Every piece of content you build should incorporate some ability to engage in conversation and listen to your readers. Do not be afraid to ask for feedback. You may want feedback on a new menu item or product you are offering or you triggered some emotions from your content or because they just don't agree. Any engagement can bring value if you listen. The more engagement, the stronger you become as you ADAPT when you get feedback from people you wish to serve. With feedback, you can modify your message if required, you can take the feedback you get and show people you have listened. Did you change that new menu item, did you discontinue a product line? Often, you generate new relationships because of this ability to listen and adapt. Growth comes from the ability to adapt from feedback. You may gain a new client immediately or, you may modify your marketing to attract more clients over time. Either way, listen, your business will continually get stronger. Klusster is a complete content marketing platform that allows businesses to complete the LISTEN LIFECYCLE. Check out our Webinar Series & Grow your business with Klusster. We can walk you through this. Do you listen to your clients? 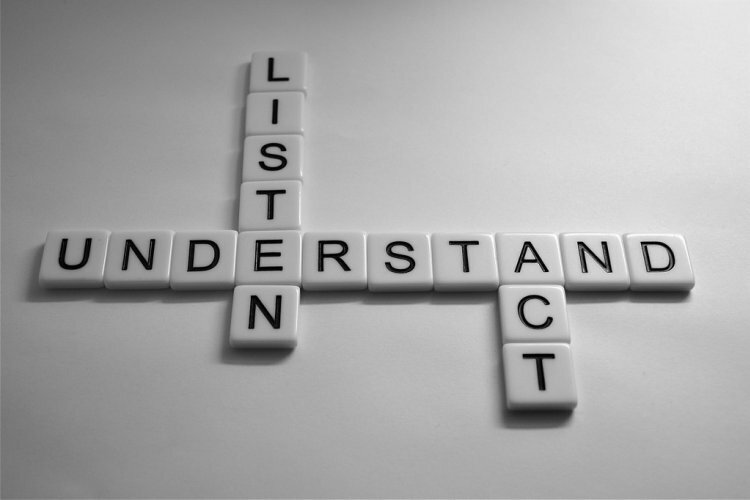 We want to know ways you listen to your clients!